Knowledge : Tsumugi - KIDORAKU Japan - What a Kimonoful World! Tsumugi is a daily or working kimono that is woven by unevenly spun silk thread. It's popular as a daily wear or street cloth (townwear) now. It's worn for daily life, going out, and so on. It's equivalent to denim of Western clothes. At first, it was a farmer's daily or working clothes in Edo period. The position improves with the age, and we wearing Tsumugi as a casual townwear now. But still it is considered to casual, even if it is very expensive and high-quality. the Tokugawa Shogunate government prohibited an extravagance. And production and wearing the silk kimono were prohibited too. 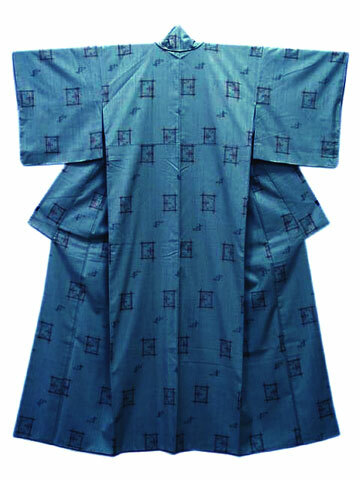 the government permitted only Tsumugi as a silk kimono, and it became popular. Some fashionable people in Edo found Tsumugi is chic. It's very durable and requiring a lot of time and effort to make it. Now, Tsumugi is usually sold in a high-price.